Interested in fostering meaningful Jewish experiences for your child? The Jewish Enrichment Center just may be the answer you were looking for. The Bnai Horin community is offering a Pre-Bar Mitzvah Program for 9-11 year olds. Our mission – keep Jewish tradition alive and provide inspiring role models for our youth. 1. Keeping Traditions Alivethrough stories, discussion, art, songs and games, we will explore the unique symbols, heroes and spiritual practices that helped the Jewish people stay connected to their Jewish roots. 2. Get to know the key figures that shaped the making of the Jewish people. Discover modern day Hero’s that make the world a better place through practicing the Mitzvah of Tikkun Olam. We typically meet twice a month Sep-June on Sundays morning with occasional family holiday gatherings and field trips. Led by Rina Daly with guest musicians, artists and storytellers. The JEC orientation is September 16, 2018 from 1 – 3 pm. To fully benefit from our home-based program we can only accommodate 7 families. Take action now! Currently, we have six more openings for 2018-19 school year. Registration form is attached below. I will happy to answer any question you may have. A deposit of $250 will guarantee your participation. Rina Daly-Goode, our educational director, is always ready to share her joy of Judaism with the community. 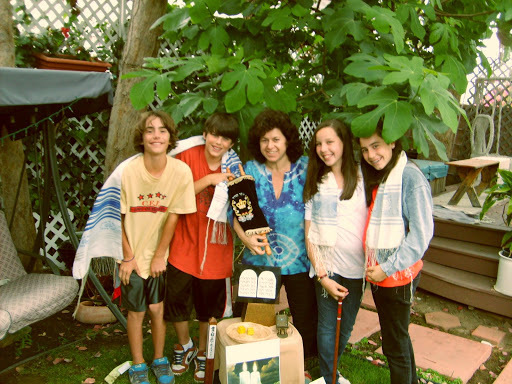 For more than a decade, Rina has been preparing young and old to become Bar and Bat Mitzvah. “It is such a delight to teach an individual how to read Hebrew, sing prayers and chant from the Torah,” she says with a smile. 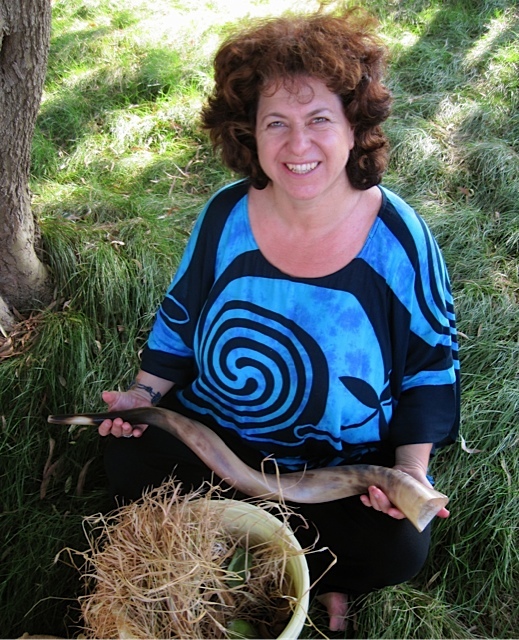 In 1995, after graduation from CSUN with a BA in Child Development and Jewish Studies, Rina started “a new kind of Hebrew School” called the Jewish Enrichment Club. In this relaxed home-centered environment, children and parents gather every Friday afternoon to creatively explore the deep, rich traditions of our Jewish heritage. 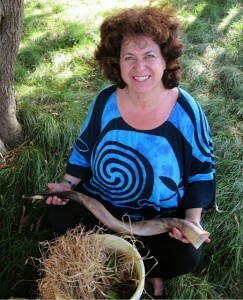 Born in Israel, Rina brings inspiring stories from the homeland into many discussions. She especially likes to share powerful images from the realities of living in Jerusalem through times of peace and war. One of her earliest memories took place the Shabbat following the Six Day war where hundreds of people were all rushing to get to the Old City of Jerusalem. After hours of walking, everyone found themselves staring in awe at the Western Wall and Rina was asked to pray in front of it. Already an inquisitive four-year-old, Rina refused to pray to the large blocks of stones – even with her mother’s encouragement. Week after week she just stood there in amazement, witnessing the loud praying crowd and the outpourings of their hearts. Since then her spiritual journey has continued to unfold. Each Rabbi or scholar Rina encountered added new dimensions of beauty to her understanding of Torah and Mitzvot. When she got to know Zalman Schachter-Shalomi, Rabbi Stan Levy and the B’nai Horin community, Rina knew she had finally found her spiritual family. In May of 2008 Rina received a Master Degree in Spirituality from the University of Santa Monica. What kind of special talents, knowledge or resources can you contribute to the group? Please write on the back anything else you’d like us to know to help insure your child’s success. _____ Payment in full of $1,400 with registration. THANK YOU! Send reg form and payment to B’nai Horin/Children of Freedom, 10810 Ayres Ave, Los Angeles CA 90064 Thank you !